71 Foxglove in River Oaks lakefront home for sale! 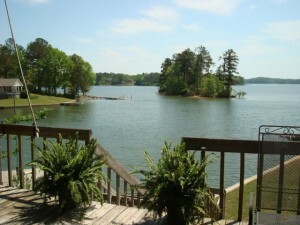 Waterfront views superior, deep water, SE exposure, Russell Lands Development Columbine of River Oaks – Great Value. Compare elsewhere for boat lift, seawall, multi-level decks, outdoor kitchen, 4BR/3BA, stainless steel appliances, butler pantry, great room with valulted ceiling and gas logs, huge gameoom with bar, indoor work shop, double car garage with entry to kitchen, lawn sprinkler system. Lake Winds Pulic Golf Course located across the entrance to River Oaks. Only minutes by Highway 280 to Alexander City and 40 minutes to Auburn. Truly a great value.